Domestic Violence charges are “all the rage” these days. More people today are being charged with this offense than nearly any other crime in California. Why? Because they’re easy to prove (or so the DA’s think) because most times (but not always) the “victim’ (spouse, boy/girl friend) wants to testify against you out of anger, jealousy, revenge, etc.. Even when the “victim” doesn’t want to testify or tries to “recant” (testify differently than what is reflected in the police report regarding the incident) the DA can still present evidence to prove your guilt through other means. DA’s and Judges show no mercy toward a person who stands accused of Domestic Violence. They don’t care if you are the sole provider for your family and being convicted and having to serve jail time will put your family out on the street or forced to seek welfare assistance. They also don’t care if the “victim’s” injuries are non-existent or minor. All they care about is getting a conviction so that they can sleep better at night knowing they just put a “wife/husband beater” in jail over a family squabble that may not be justified or warranted. It’s about “Breaking Up Families”, as part of a social agenda by the State, to take away your liberty and freedom as well as that of your children because if the “victim” can’t support them the State will place them in foster homes under the State’s ‘benevolent” care. After Domestic Violence charges are filed by the DA’s Office (the “victim’ has no say so in the matter), as a matter of routine a CPO (Criminal Protective Order) will be issued by the Judge at the request of the DA on behalf of the “victim”. That CPO will remain in place throughout the case until you eventually plead out or are found guilty if you go to trial, after conviction so if even if the “victim” wants to reconcile and see you/let you see your children when you are in jail you will not be able to do so or be found in Contempt of Court (new separate charge even when you are finally released from jail). However, all is not lost. Every DV case is potentially defensible. Depending on the nature of injuries the victim sustained, there are multiple potential defenses (for example, self-defense because the “victim” attacked you first among other defense), lesser included offenses, DA problems with witnesses/objective evidence, etc. that only a highly skilled and experienced criminal defense lawyer can use to your advantage that neither a Public Defender nor run-of-the-mill criminal defense “negotiator” would know about or use on your behalf. Here’s an article (complete with stats) showing why “choosing” to go with a Public Defender would be a big mistake. If you are falsely accused (innocent) or the DV crime you are charged with is not as bad it seems to be, the DA will not dismiss the charges against you. Even if the charges against you are true, there may be mitigating circumstances/other factors that can result in a reduced sentence. Either way, you need a skilled and experienced Trial Attorney like Mr. Karas who knows the law regarding Domestic Violence crimes and all applicable defenses, the rules governing admissibility of evidence, how to confront and cross-examine the victim or other witnesses expected to testify against you, etc. to systematically “break down” and exploit every weakness in the DA’s case and fight for you to get the best outcome for you and your family. By “traumatic condition,” Penal Code 273.5 refers to a visible injury on the victim’s body, whether significant or slight. This offense is a “wobbler” meaning it can be charged as a felony or a misdemeanor. As a misdemeanor, it carries a penalty up to 1 year jail time. If charged as a Felony, you face up to 4 years in state prison. Accused of a Domestic Violence Crime? Contact John Karas. Battery committed upon a spouse, former spouse, cohabitant, parent of the defendant’s child, fiancé, or anyone with whom the defendant has (or previously had) a dating relationship constitutes Domestic/Spousal Battery. Penal Code 243(e)(1) is similar to Penal Code 273.5, except that it does not require the “traumatic condition” element. In other words, the DA doesn’t have to prove any visible injury to the victim. California Penal Code Section 243(e)(1) domestic battery is a misdemeanor and carries a penalty of up to 1 year jail time. Penal Code Section 273d is a “wobbler” meaning it can be charged as a misdemeanor or as a felony and the penalties are up to 6 years state prison. Among the types of conduct that can lead to a Penal Code 273a child endangerment charge are 1) willfully causing or allowing a child to suffer unjustifiable physical pain or mental suffering, 2) willfully allowing a child in one custody to have his/her person or health injured or 3) willfully allowing a child in one custody to have his/her health or safety endangered. Punishment under PC 273a depends on whether the risk to the child included death or “great bodily injury.” If there was no possibility of either and Penal Code 273a is charged as a misdemeanor, you are facing up to 1 year jail time and a $1,000 fine. If there was a risk of death or great bodily harm, child endangerment is a “wobbler” meaning that it can be be charged as either a misdemeanor or as a felony in the prosecutor’s discretion. If charged as a felony, you are facing 2, 4 or 6 years jail time and a fine of up to $10,000. In a Domestic Violence case, you need a skilled and experienced lawyer to defend you against the charges. Again, even if your spouse, girlfriend, other family member or “significant other” doesn’t want to pursue the case, after you are arrested on DV charges, they don’t have any say in the matter. Only the DA has the power to decide if criminal charges will be pursued and the only way to get the DA to get the best outcome is by hiring the right attorney to point out weaknesses in the case and/or call their attention to other factors leading to dismissal or the charges being reduced. Penal Code 13700(a) defines “abuse” as “intentionally or recklessly causing or attempting to cause bodily injury, or placing another person in reasonable apprehension of imminent serious bodily injury to himself or herself, or another”. married people, or those used to be married. individuals who are engaged, dating, or used to be. people who live together – cohabitants – or who used to live together. Penal Code 13700(b) states that cohabitants are “two unrelated adult persons living together for a substantial period of time, resulting in some permanency of relationship.” As a result, it’s not always clear if two people who live together are in the kind of relationship that would fit under these laws. 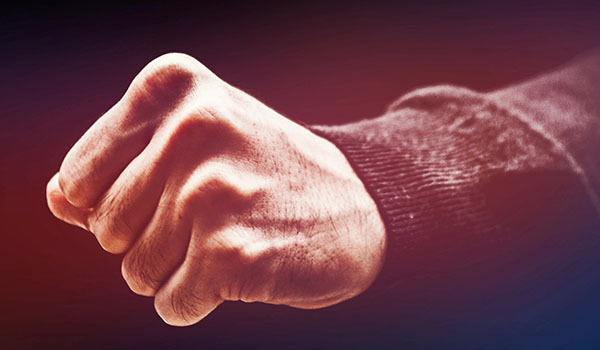 There are also laws that create a scheme for the imposition of restraining orders under both the Penal, Family Law and Civil Procedure Codes (Civil Harassment) in Domestic violence cases. 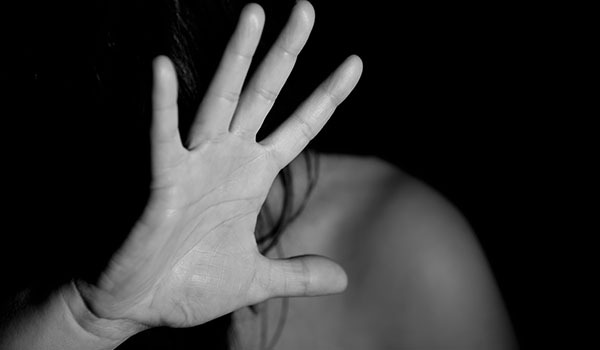 The most common type of domestic violence case involves a spouse or significant other (spousal battery in violation of penal codes 273.5 or 243e). 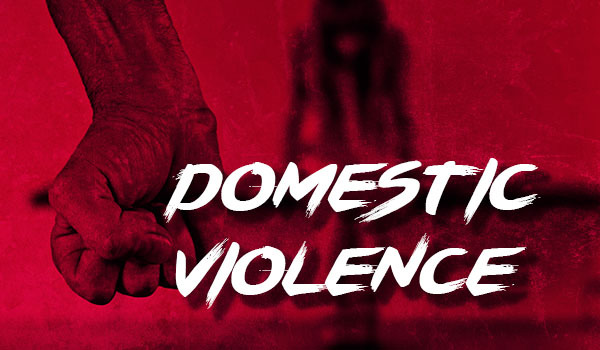 However, there are many types of domestic violence cases including child endangerment, criminal threats, stalking as well as elder abuse. As a result, DV cases are prosecuted aggressively even if the complaining party is uncooperative or recants. If charged as a misdemeanor, not only are you are facing 1 year in jail, fines, restitution, etc. but you will be ordered to attend a 52 week domestic violence/batterer course (at your own expense), possible loss of custody of your children and a Restraining Order preventing you from contacting or seeing the victim. Violation of the restraining order can lead to Contempt of Court charges with additional jail time, fines, etc.. Most California counties impose a minimum jail sentence of 30 days for a domestic violence conviction. This is true even if the charge is a misdemeanor and it is the defendant’s first offense. If you are a “repeat offender” with a conviction within 7 years of a previous conviction, you face 2, 4, or 5 years in state prison and fine of up to $10,000. In addition, domestic violence offense can be considered a strike under California’s 3 Strikes Law. A conviction for a strike offense results in heightened sentences and can be used to enhance future convictions.